Although Apple has released two cloud services — Photo Stream and iCloud Photo Library — and still, the process of copying photos from your iPad to your PC is not as straightforward as it should be. You can sync photos using iTunes, but that process copies entire libraries at a time. If you want more fine control over how you transfer your photos to your PC, use an alternative approach. It is possible to plug your iPad into your PC using the Lightning cable and open folders as if the iPad was a Flash drive. However, Apple divides the photos and videos into dozens of folders under one main "DCIM" folder, which makes it much more difficult to keep organized. Use the Photos app in Windows 10 and Windows 8 to import the photos as if the iPad were a camera. Connect your iPad to your PC using the Lightning or 30-pin connector that came with your iPad. Use the search bar on the windows toolbar to search for Photos. If you are using Windows 8 in desktop mode, you may need to switch to the tiled mode to execute the search. In the Photos app, open the album containing your photos and right-click on a blank portion of the screen. Choose Import. If you accidentally click a photo, you will get a different menu, ensure you click outside of one of the images. When you choose Import, a menu appears asking from which device you want to import the photos. Your iPad should be clearly labeled on this screen. After you choose the iPad, Windows will read your photos. 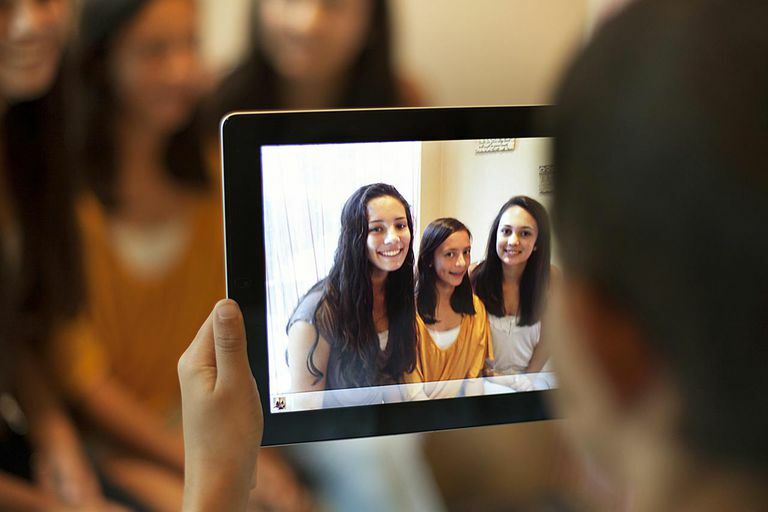 This process may take a few seconds depending on how many photos you have on the iPad. By default, all of your photos will be selected. If you only want to transfer a subset of photos, you will need to unselect them in the selection screen. When you are done, click Continue. Confirm whether the photos should be deleted from the iPad after they've been imported. We recommend leaving this unchecked. If you are clearing space on your iPad, you should verify that the photos transferred properly before deleting them from your iPad. The Photos app only works on the newest versions of Windows. In Windows 7, you may be able to import them by connecting your iPad to the PC, opening My Computer and opening the iPad in the Devices and Drives area. If you right-click the iPad, you should get an Import Pictures and Videos option. However, you won't be able to select the exact photos to transfer. If you want more control over the process, you will need to use the cloud as a way to transfer them. The process on a Mac is straightforward. Connect your iPad to the Mac using the supplied cable. Sometimes, the Photos app automatically launches. If it doesn't, you can run the Photos app by clicking the Launchpad icon and typing Photos to narrow the app list. When Photos launches, it should detect your iPad and open the Import screen. If it doesn't, click the Import tab. Select the photos you want to transfer and click Import Selected at the top of the screen. When the Mac is finished, it will ask if you want to delete the photos on your iPad. You may want to verify the photos are in the right place before manually deleting them from the iPad. Another great option is to use the cloud to copy photos to your PC or other devices. Dropbox and some other cloud solutions offer a photo-sync feature that will automatically upload your photos when you launch the app. And even if they do not have this feature, you can manually copy the photos. The downside to using the cloud comes if you have limited storage space on your cloud account. Most free accounts only allow a limited amount of storage space. To get around this restriction, you may have to go to your computer and manually move the photos out of the cloud storage area and onto the computer's file system. Refer to your individual cloud service's documentation for instructions about transferring files to and from your devices.